This hotel in Kentucky is 32 km from the Louisville International Airport. Each room provides free WiFi and the hotel features an outdoor pool and fishing pond. 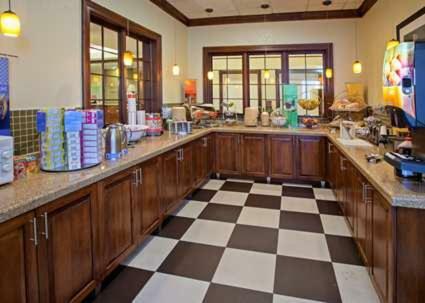 Guest rooms at the Hampton Inn Louisville Northeast provide a coffee maker and work desk. Cable TV, ironing facilities and a hairdryer are some of the additional amenities provided in the rooms. The Louisville Hampton Inn offers a hot breakfast. Guests can workout in the gym or go for a jog on the running track. The championship Indian Springs Golf Course is one mile from the Hampton Inn Louisville Northeast. Guests can explore the Muhammad Ali Center 22.4 km away. The Belle of Louisville Steamboat takes trips down the river and is 24 km from the hotel. the hotel Hampton Inn Louisville Northeast so we can give you detailed rates for the rooms in the desired period.